This is how these vegetables want to be cooked. Sure there are several, more complicated, fancy and special ways to prepare these three vegetable superstars and I’ve done it to them many times. But this is my go-to. Preheat oven to 425 degrees F. Line a large baking sheet with parchment paper or foil. 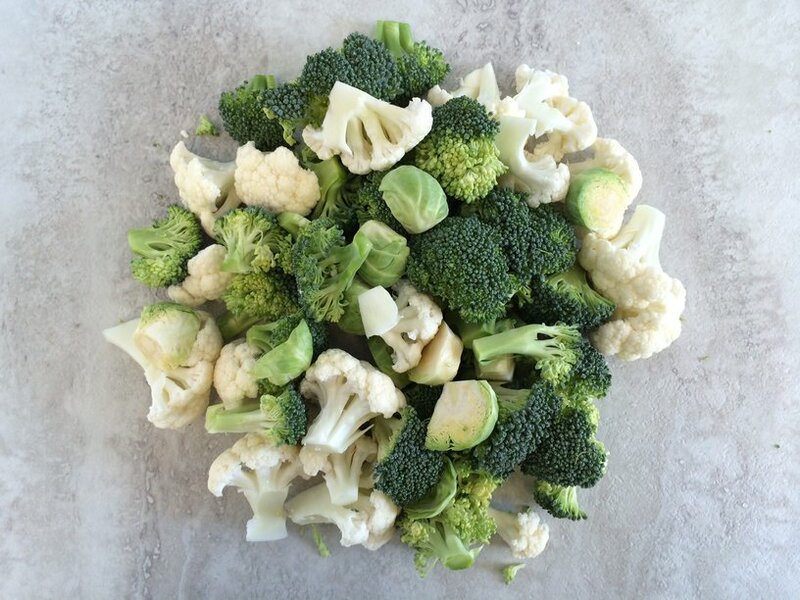 Toss broccoli, cauliflower and sprouts in a bowl with olive oil, garlic, salt, pepper and granulated onion. 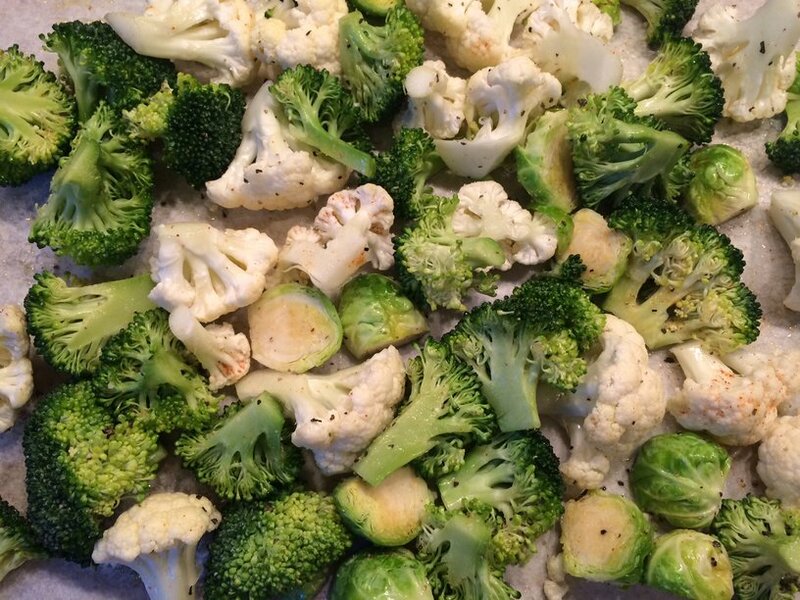 Spread vegetable mixture in a single layer on baking sheet. Bake for 25-35 minutes. 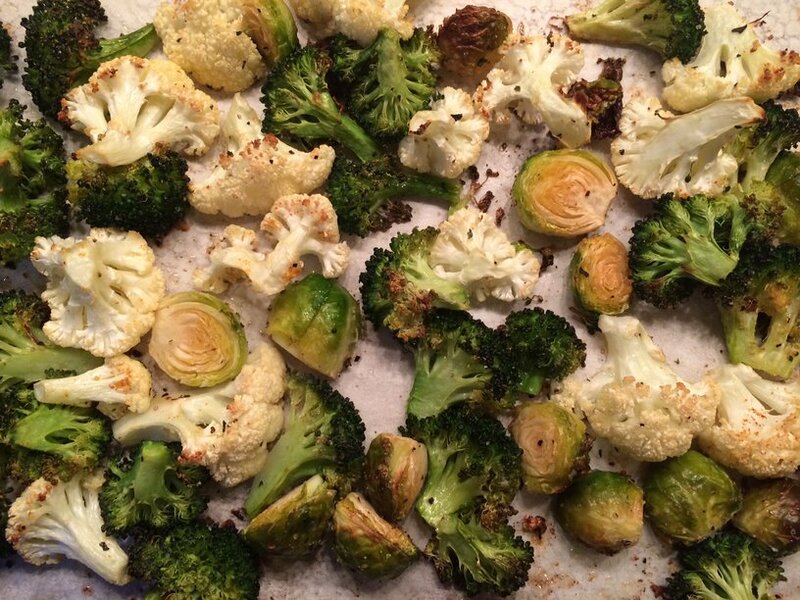 Remove from oven and immediately toss with fresh lemon juice and parmesan cheese. Serve hot. Granulated onion is similar to onion powder. It’s only a slight texture difference. You might get a stronger flavor out of powder than granules. Should the vegetables be blanched first? Read that preserves the color. But if I do that, they will be wet when I try to mix them in the oil, etc. Your thoughts?